Sometimes, we just have to take risks and go with our guts. 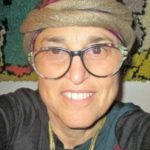 A couple of months ago, I noticed that the The Women’s Performance Community of Jerusalem was looking for women to tell their aliyah stories to celebrate Yom Aliyah, Aliyah Day. So, I bit the bullet and sent in a wacky “audition” recorded as I walked up the hill to my house one night, close to deadline, and I was accepted. The Women’s Performance Community of Jerusalem in association with the OU Israel Center celebrated Aliyah Day, and I told of life in Israel in the early 1970’s. My husband and I made aliyah in 1970, by boat, barely two months after our wedding. We’ve been living in Shiloh since the school year began in 1981. I could have given a very entertaining talk just about those two weeks on the boat. In a sense our lives here in Israel have been pretty dull, in that we’ve only lived in less than a handful of places, even including our two years on shlichut to London to do youth movement work for Betar. We started our lives in Jerusalem’s Old City running the Maon Betar for a year, and then we moved to an apartment we bought in Bayit Vegan. Two of the ten years there, we were in London, and then in 1981 we moved to Shiloh. Even though I’ve worked at all sorts of jobs, most of which I needed fluent Hebrew, when people hear me, they know immediately that I’m an immigrant, an olah, that at some point I had made aliyah. I’ve always thought that it was just the accent, but this year I joined a senior citizen study program, and the woman (who was a classmate of my middle child) insists that everything I say, my approach to life is that on an olah. I had never thought of that before, but it does make sense. Even though I’m here in Israel for almost half a century, my opinions, way of expressing myself and especially my sense of humor is very much that of who I am and where I’m from. When we have group discussions, you can really hear the differences in our backgrounds. I’m not the only immigrant in the group. We all have very different stories. Actually, telling our stories for a project of the Diaspora Museum is part of the program we’re in. Since I can’t disguise my immigrant background, it means that wherever I am, whatever I do, I’m celebrating my own Aliyah Day. I do have friends, olim, immigrants from all over, who’ve worked hard to mask their immigrant backgrounds, hide their accents, make a point of speaking only Hebrew and even pretend that they don’t know their native tongue. They manage to dress, move and accessorize like native Israelis. They laugh at the jokes, which I frequently don’t get, even after all these decades. It’s almost like, or maybe it really is that they’re embarrassed by their immigrant background. I, on the other hand, am proud that I took that plunge forty-seven years ago. I see no reason to hide who and what I am. I consider making aliyah as something to be very proud of. And that’s why I don’t condemn those who didn’t. Many of my friends are still in America struggling to make peace with the fact that they couldn’t, for all sorts of reasons, make the move. Now that my peers and I have entered the age of retirement, there are more who are succeeding in making the move. In some cases, their children and grandchildren are here in Israel so they’ve been visiting frequently over the years. Gd willing their own Aliyah Day will be soon. 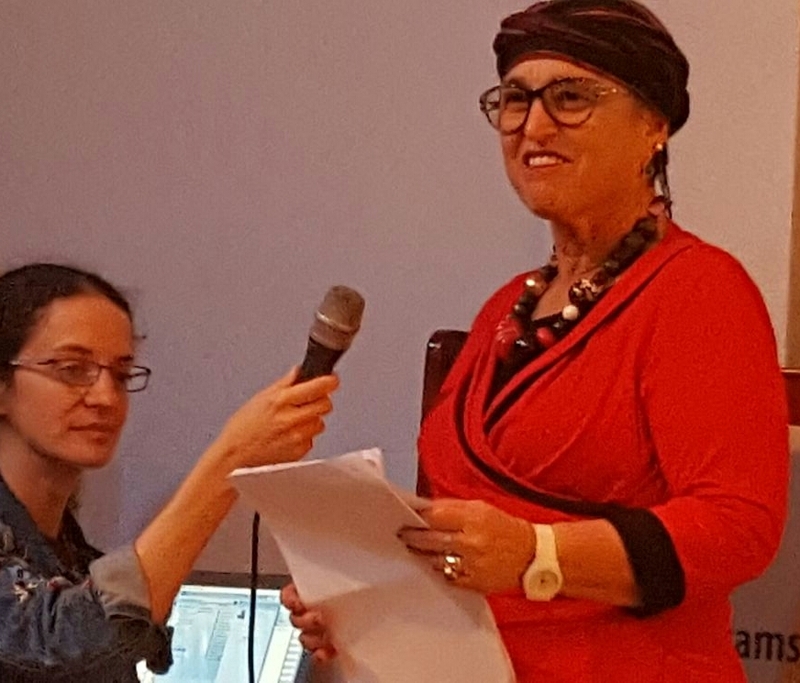 When I auditioned to talk at the Women’s Performance Community of Jerusalem Aliyah Day event, I thought that it would be an evening of “standup,” funny stories, about aliyah from all different women. Obviously, I was projecting, since “putting together words,” talking and writing, is my big talent. The other performers were much more serious and professionally well-trained. We heard some marvelous professional opera singing. One of the main reasons is that there are so few women-only venues for religious women who don’t sing before men. My performance was well-received, thank Gd. One of the reasons that I auditioned was because the chance to perform like that had been topping my unofficial “bucket list.” I had so much fun, maybe I’ll try to get the opportunity to do it again. Standup could be my “post-retirement” profession. What do you think?